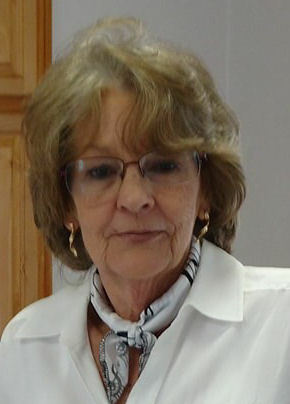 Biglerville, Pennsylvania – formerly of Canton – Deborah Ledbetter Riggeal, 64, passed away on Monday, April 15, 2019 at Haywood Regional Medical Center, following a brief illness. A native of Haywood County, she was the daughter of the late McKinley B. “Mack” and Ethel Watts Ledbetter. Deb was a 1972 graduate of Pisgah High School and for many years, she helped her husband in their business, Riggeal’s Performance Fiberglass in Pennsylvania. She loved working in her garden and flower beds, but she was never happier than when she was with her beloved pets. She is survived by her husband of 37 years, Greg Riggeal of Biglerville, Pennsylvania; one daughter, Lauren Riggeal and fiancé, Josh Gamber, of Falling Waters, West Virginia; one son, Nathan S. Riggeal of Biglerville, Pennsylvania; two sisters, Lorna Ashe (Denton) and Verda Davis, all of Canton; and one brother, Doyle Ledbetter of Canton. A memorial service will be held at 2:00 p.m. on Saturday, May 4, 2019 at Riverside Baptist Church with the Reverend Steve Frazier officiating. The family will receive friends immediately following the service at the church. In lieu of flowers, memorials may be made to The Humane Society of the U.S., 1235 23rd. Street NW, Suite 450, Washington, D.C. 20037.